How do I get rid of light bulbs in San Francisco? How you dispose of a light bulb depends on which kind of light bulb you have and whether the bulb comes from your home or from a business or property that you manage. 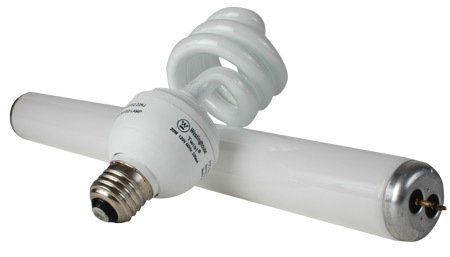 Compact fluorescent lights (CFL), fluorescent tubes, high-intensity-discharge (HID) bulbs, and neon signs contain mercury, which is harmful to human health and the environment, even in very small quantities. FROM YOUR HOME: San Francisco residents can visit a drop-off location near you (many hardware stores accept) or request a free household hazardous waste pick-up from Recology. FROM YOUR BUSINESS OR PROPERTY YOU MANAGE: There are additional requirements for disposal of hazardous waste lights used in a business or in the common areas of a multi-family or commercial property. See our Factsheet for Businesses (PDF) to learn more about proper handling, storage, and a range of disposal options. Incandescent bulbs and halogen bulbs do not contain mercury, so San Francisco residents, businesses, and property managers can put them in the black landfill bin. Quick Guide to Proper Lighting Disposal (PDF) - Print Out and Post!